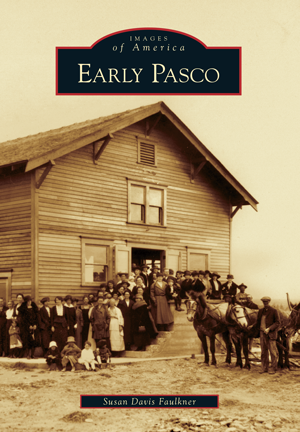 Pasco originated during the building of the transcontinental railroad's last spur. This southeastern part of Washington was chosen as the site for a railroad bridge over the Snake River because of its proximity to the Columbia River, which created a transportation line for needed supplies. Agriculture, railroads, and the rivers combined to create a livelihood for the people of Pasco amidst the region's desert terrain and sagebrush. By 1940, the area had grown to include nearly 5,000 individuals. Images of America: Early Pasco reveals the streets of historic Pasco and the people that were instrumental in building much more than a railroad town. Susan Davis Faulkner is an avid genealogist living in the Tri-City area. Her unbridled passion for history led her to an interest in Franklin County and the town of Pasco. Faulkner has researched various repositories to bring together the lives of early Pasco. Most of the photographs in Images of America: Early Pasco, however, come from the bountiful holdings of photographs at the Franklin County Historical Society.